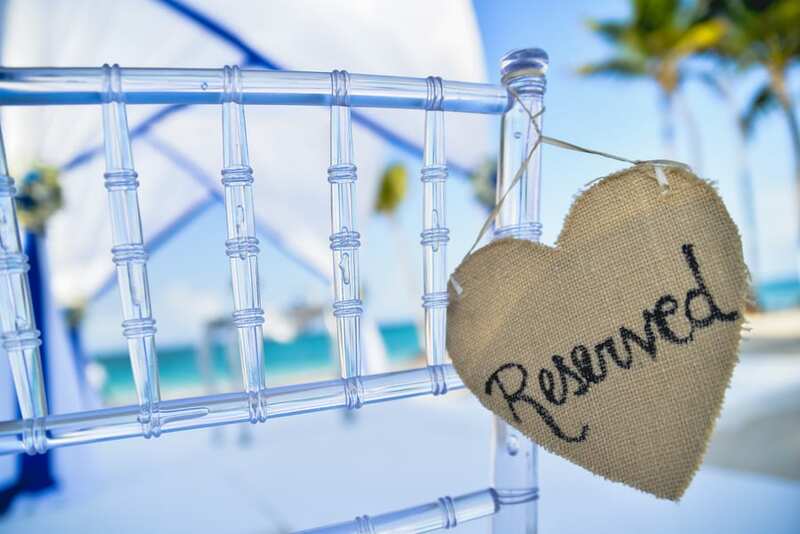 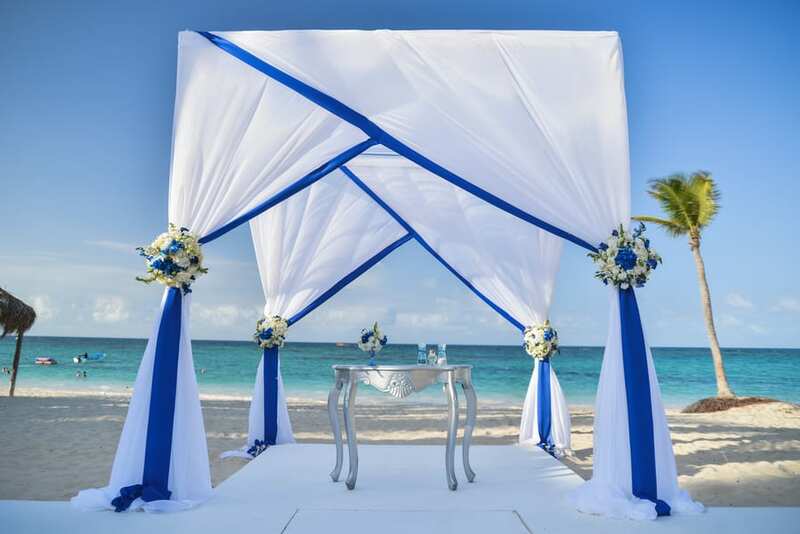 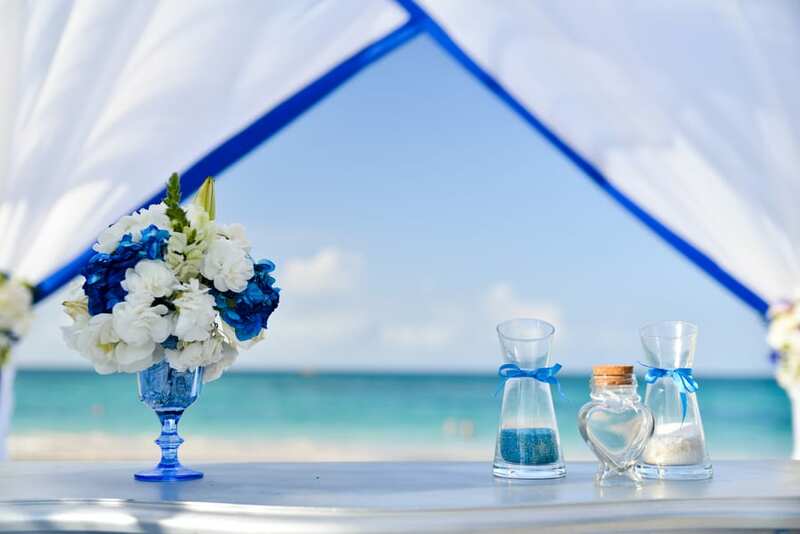 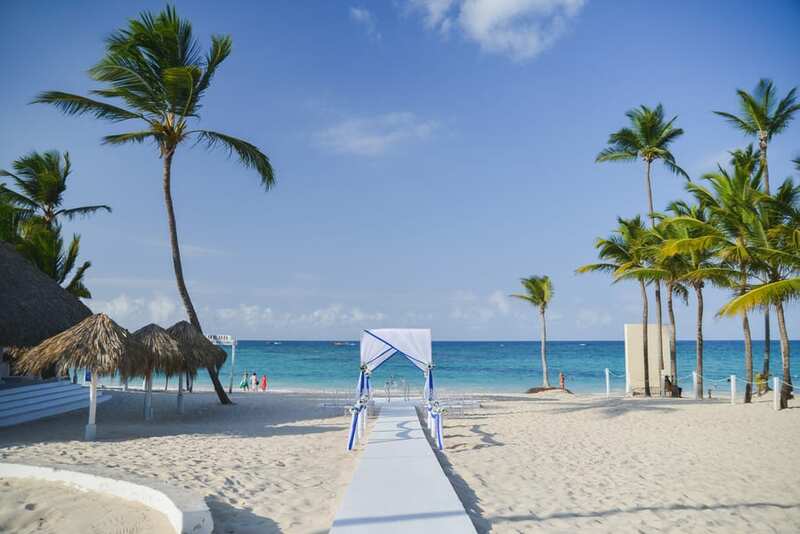 Nestled on the Atlantic coast just north of Punta Cana with soft white sand, glorious sun, and aquamarine waves, Kukua Beach Club offers stunning views, fresh seafood, and an unforgettable experience. 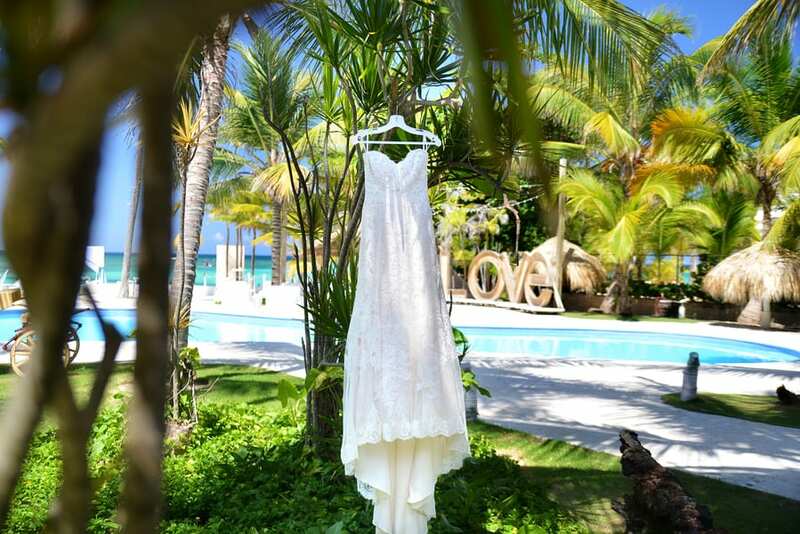 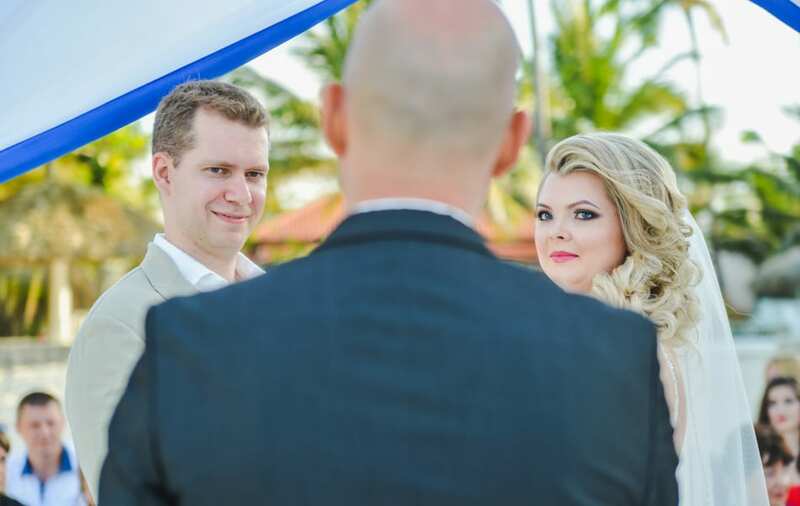 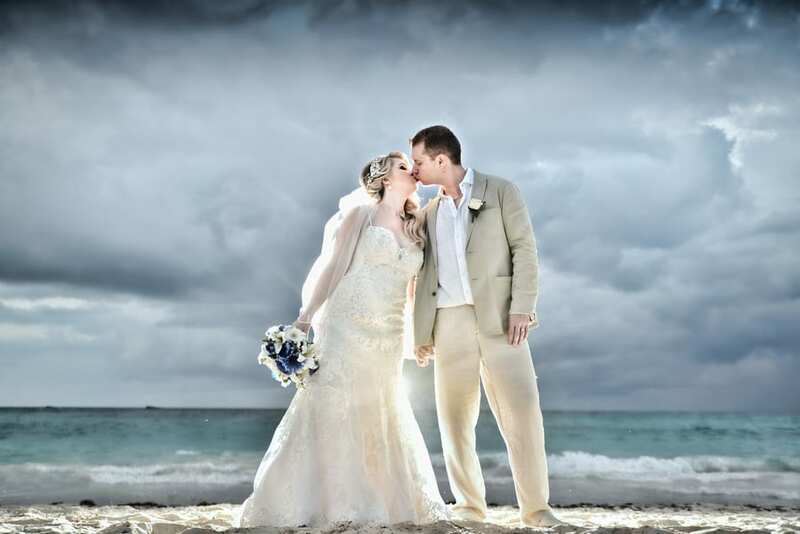 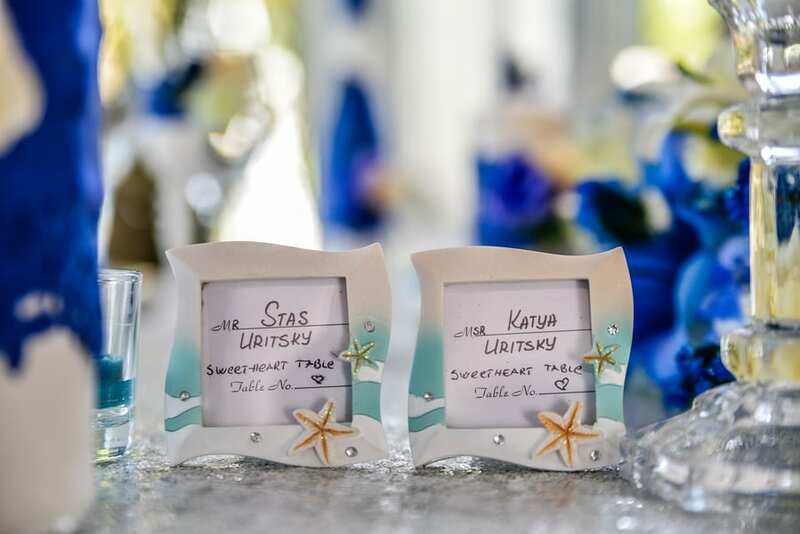 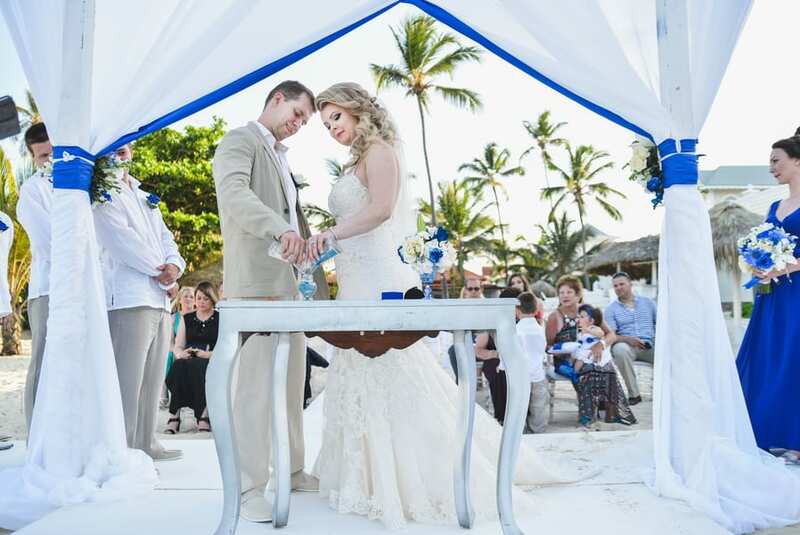 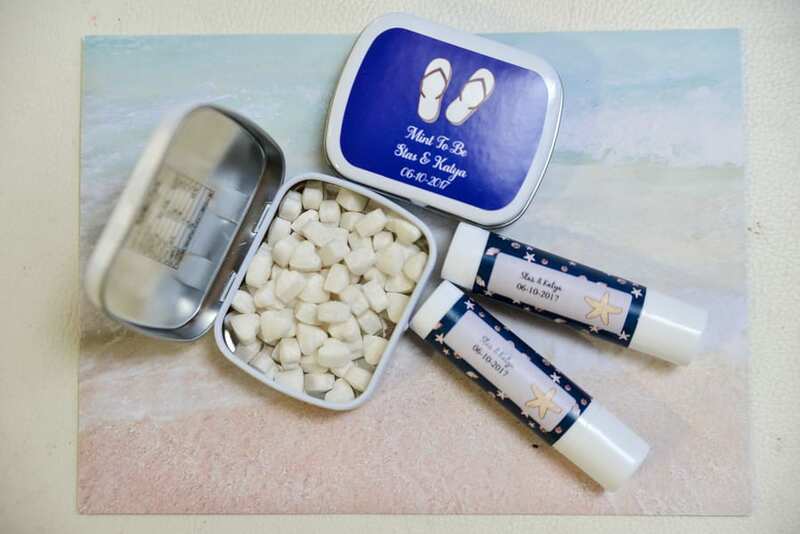 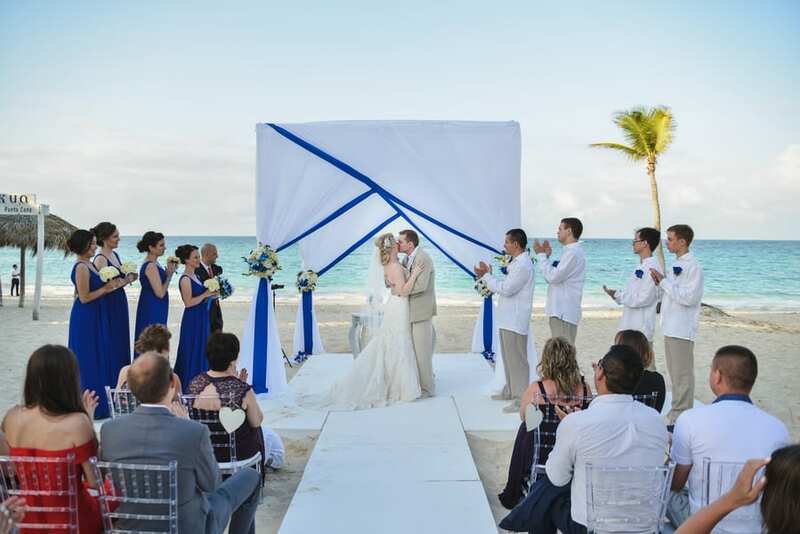 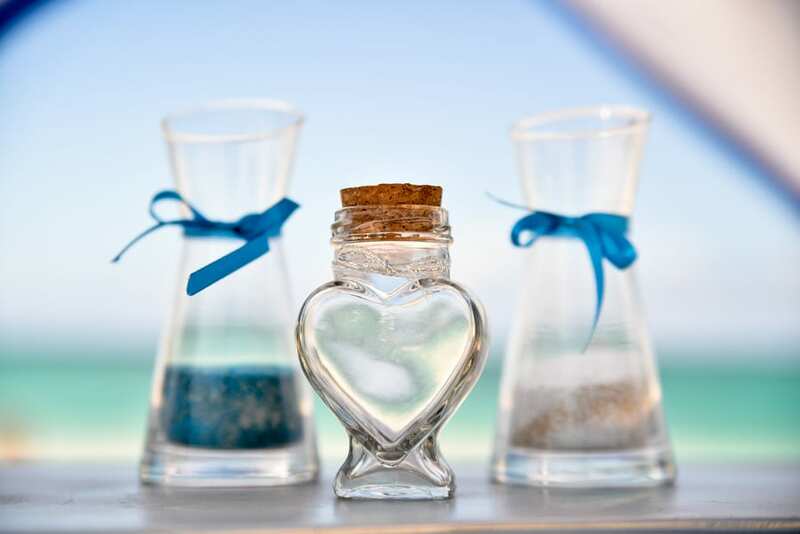 Ekaterina and Stanislav exchanged vows overlooking soft rolling waves, with a gentle breeze just as the sun set. 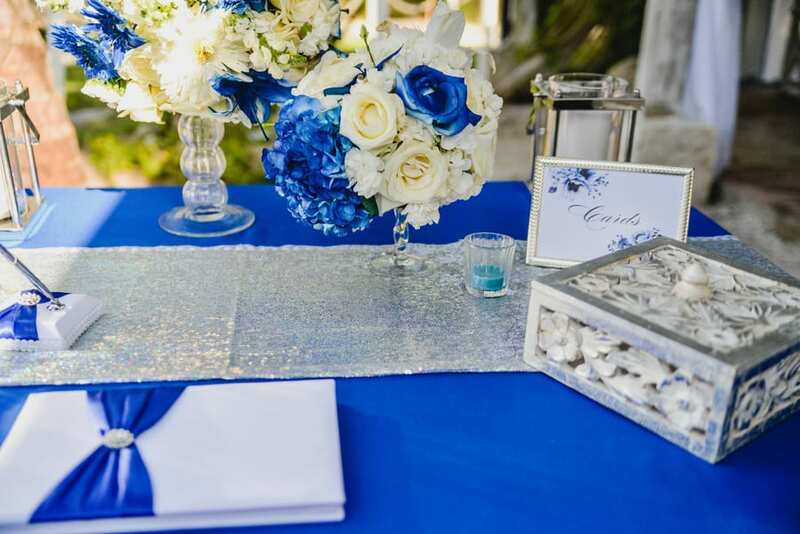 A white and navy blue tent, adorned with white roses, daisies, and blue hydrangeas made for an elegant altar. 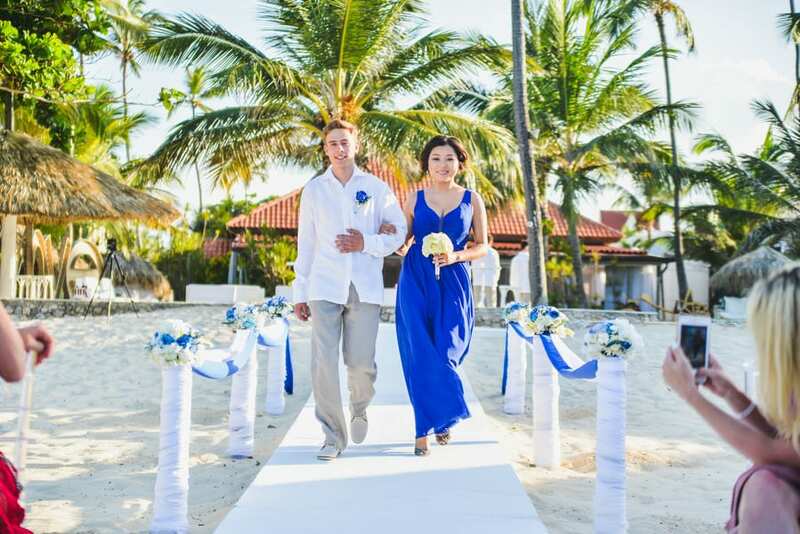 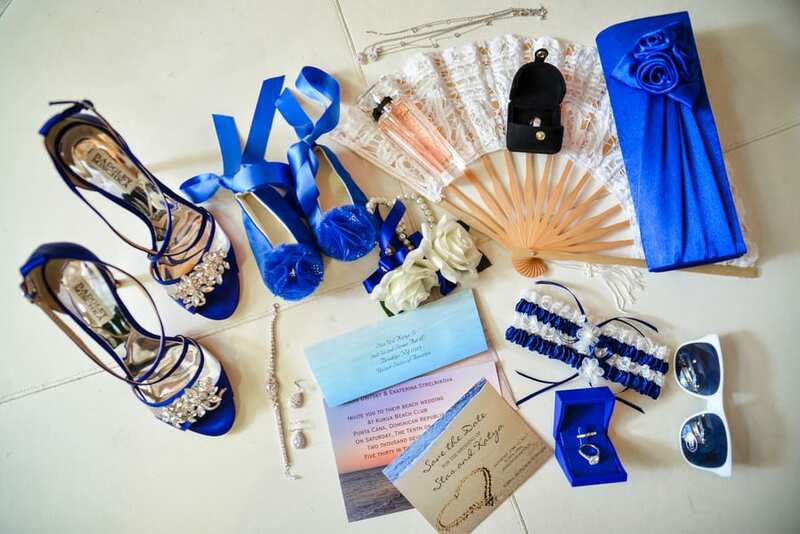 Flowing chiffon, cobalt blue bridesmaid dresses aligned with the natural beauty of the ocean. 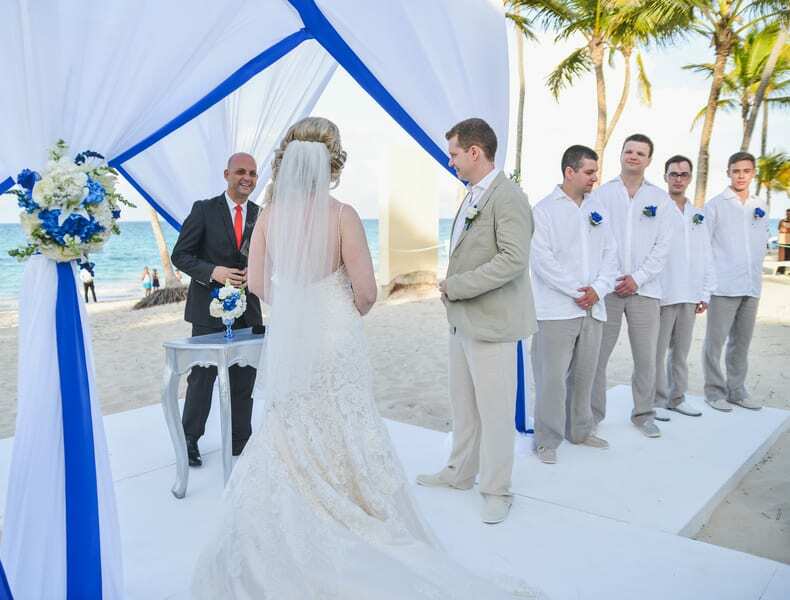 Groomsmen looked at ease in khakis, white dress shirts, and matching boutonnieres. 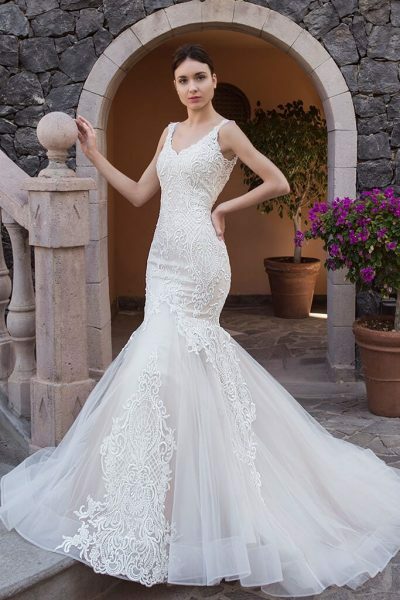 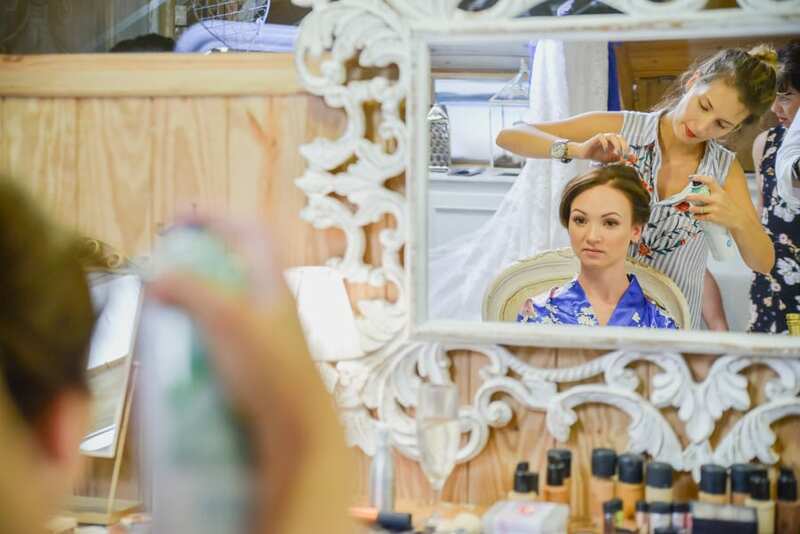 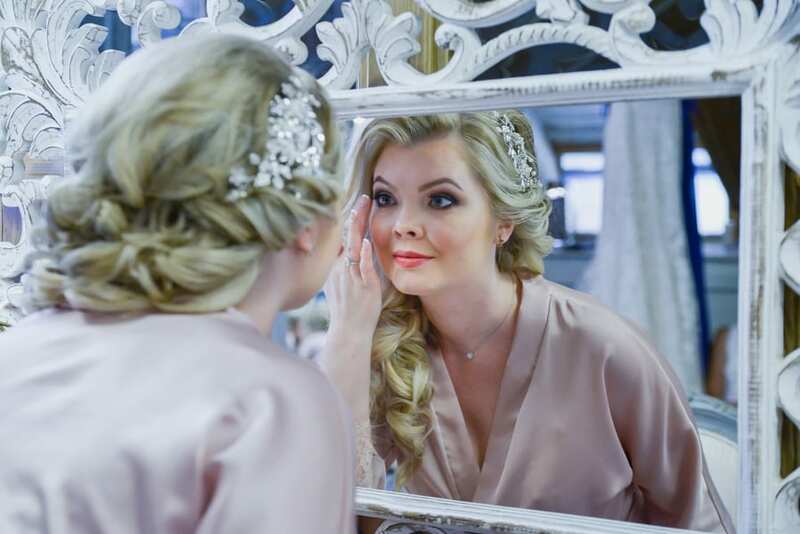 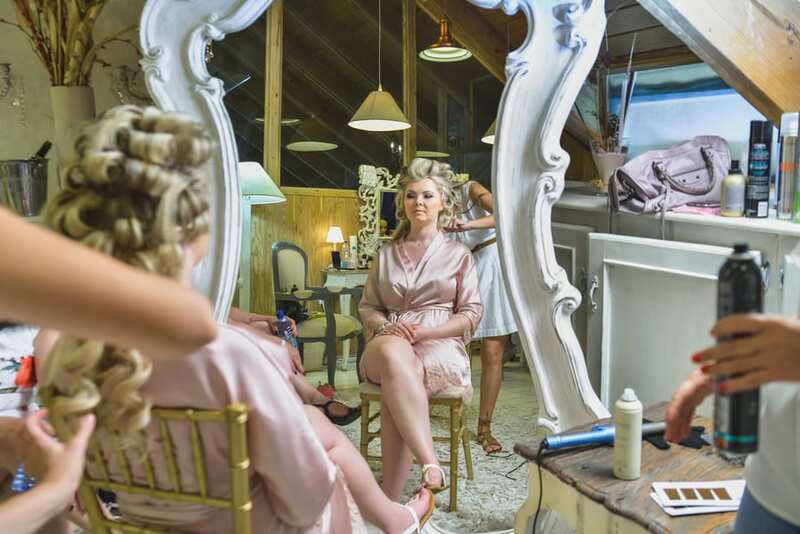 Bride Ekaterina walked down the aisle in an all-lace, sweetheart fit and flare gown with glitter appliques, with a silver barrette in her flowing curls. 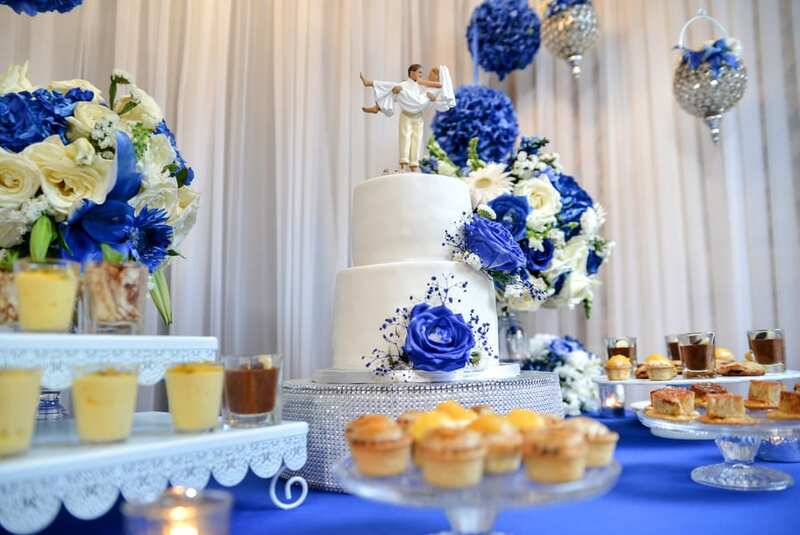 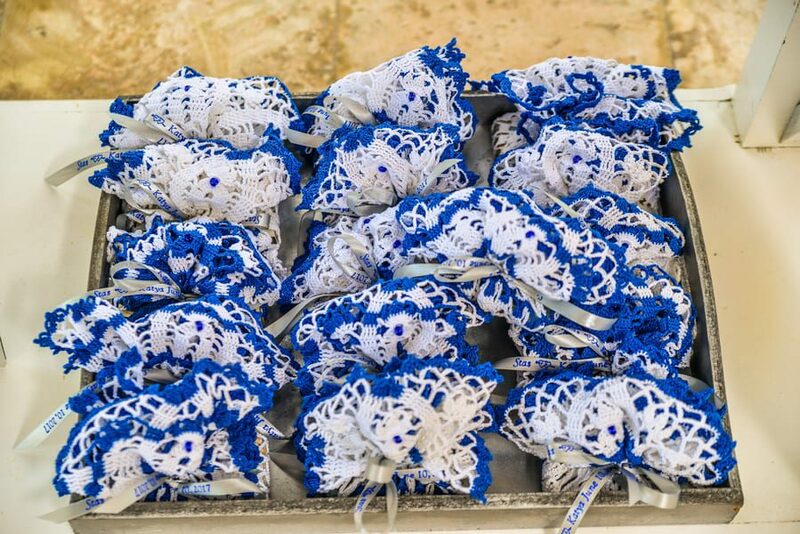 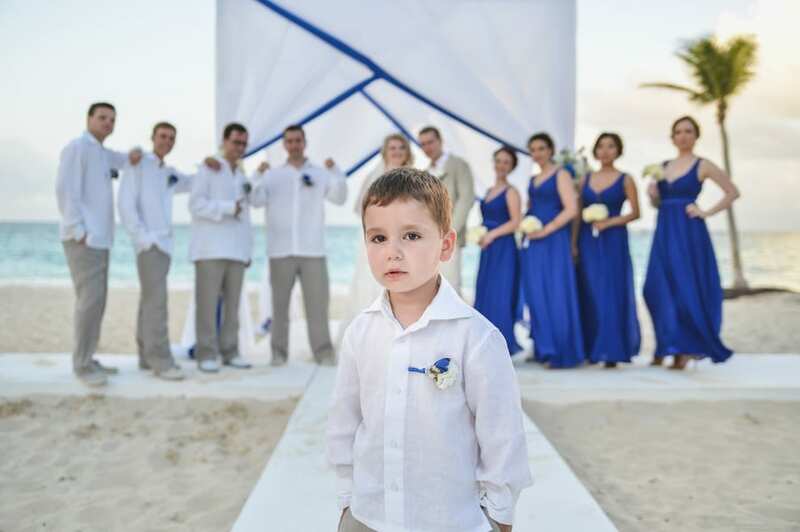 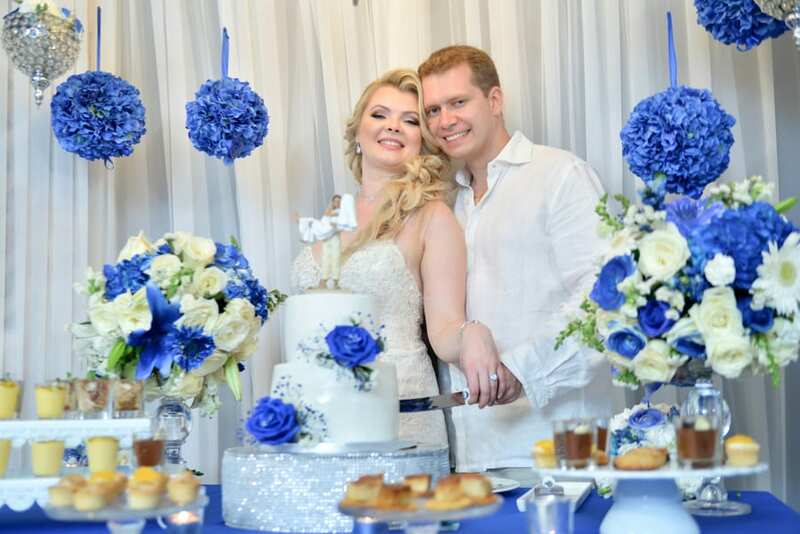 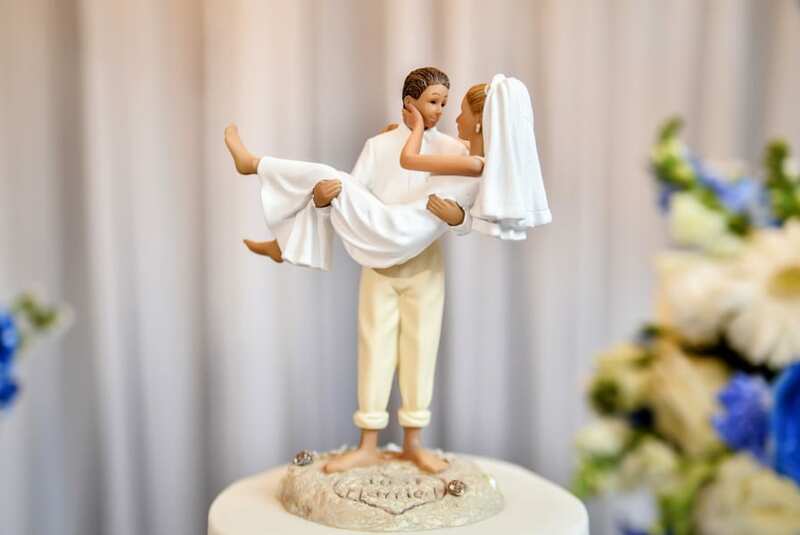 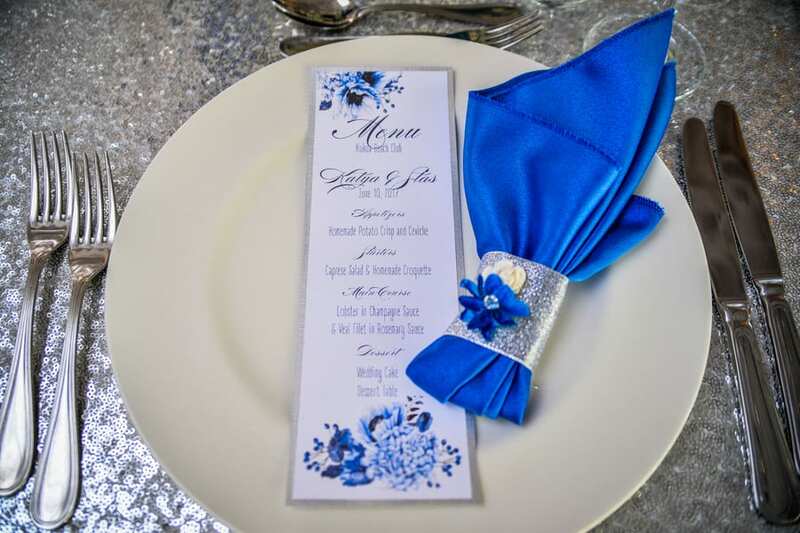 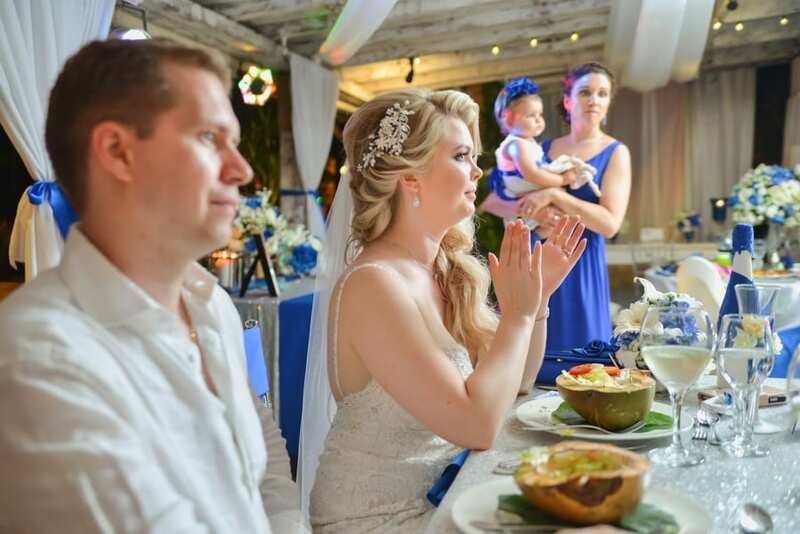 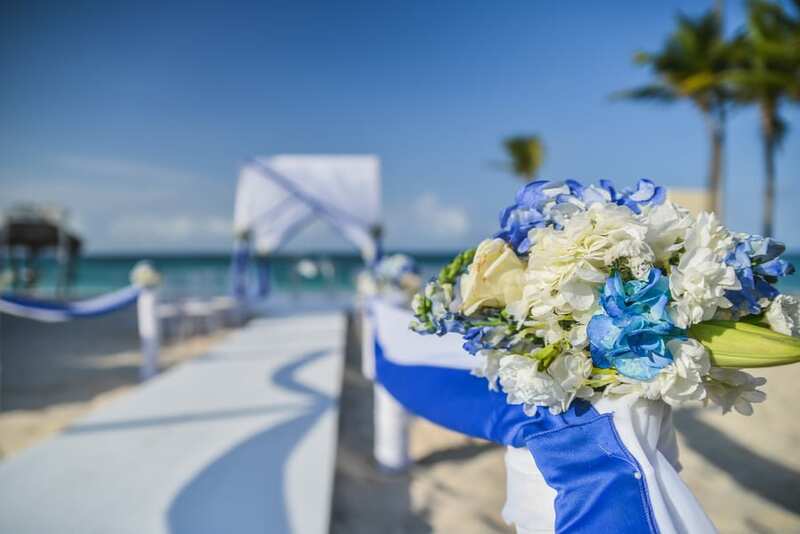 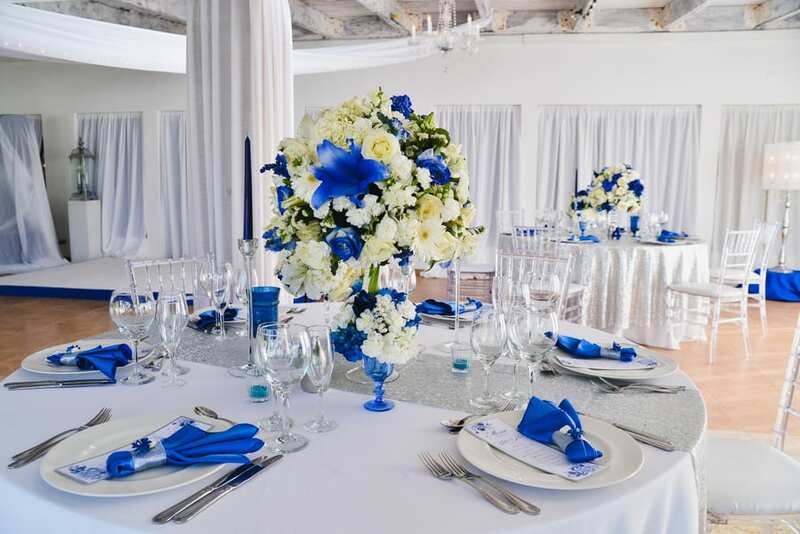 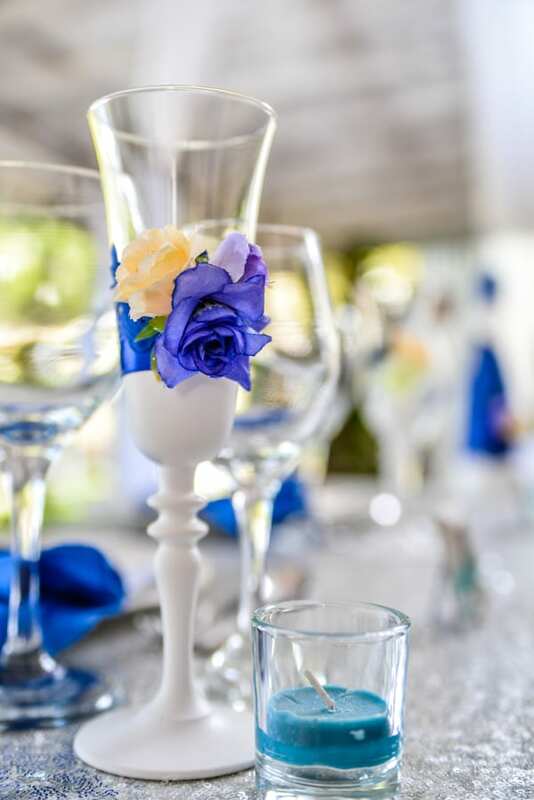 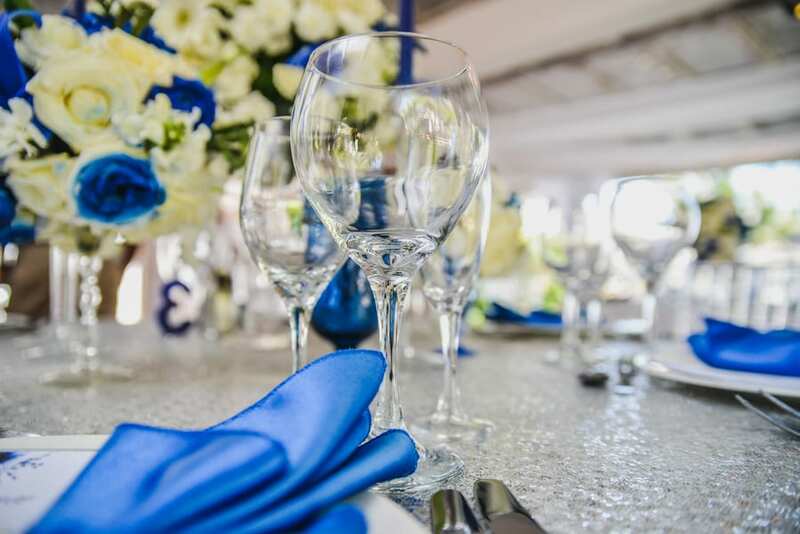 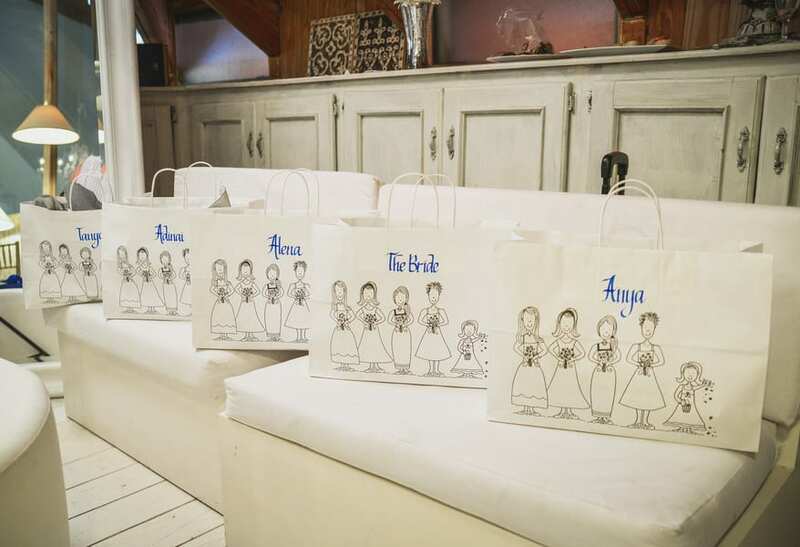 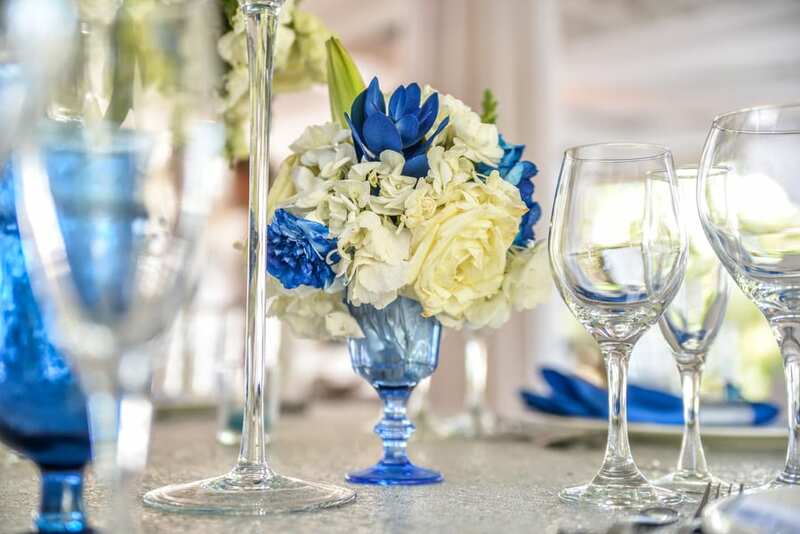 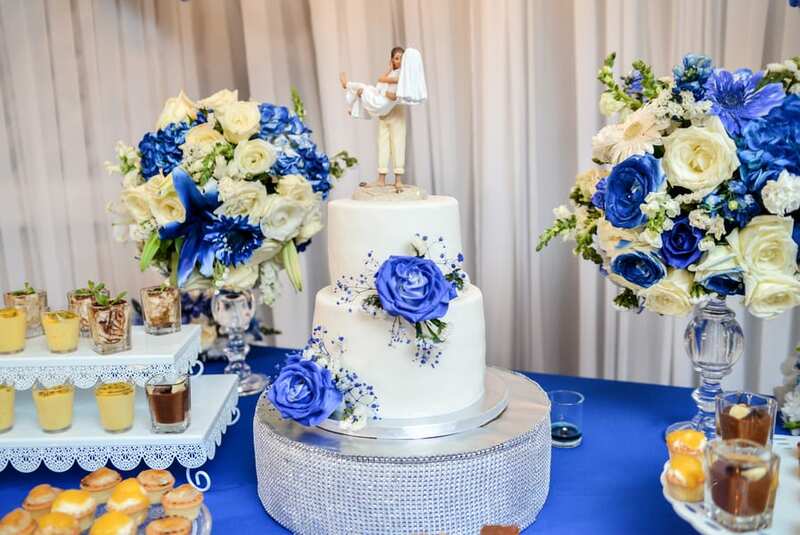 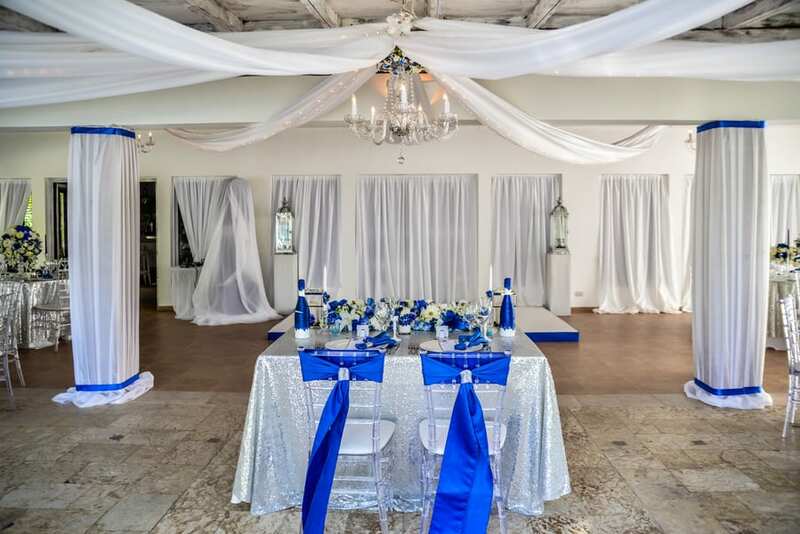 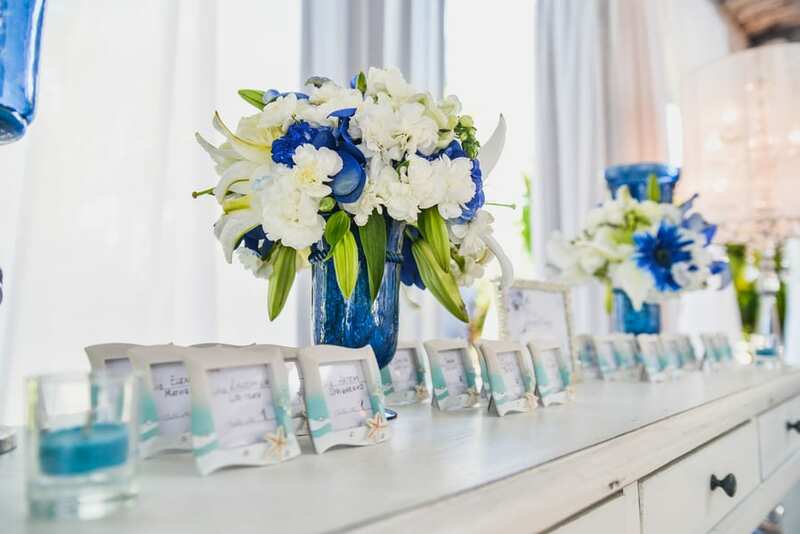 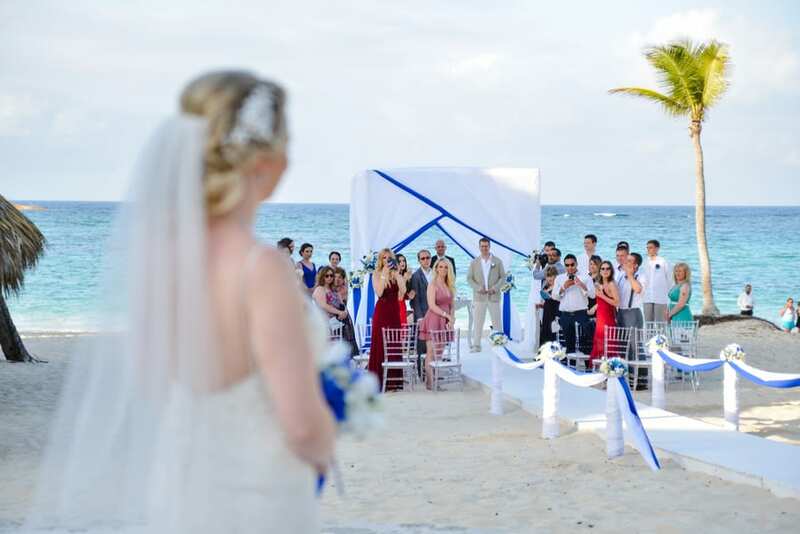 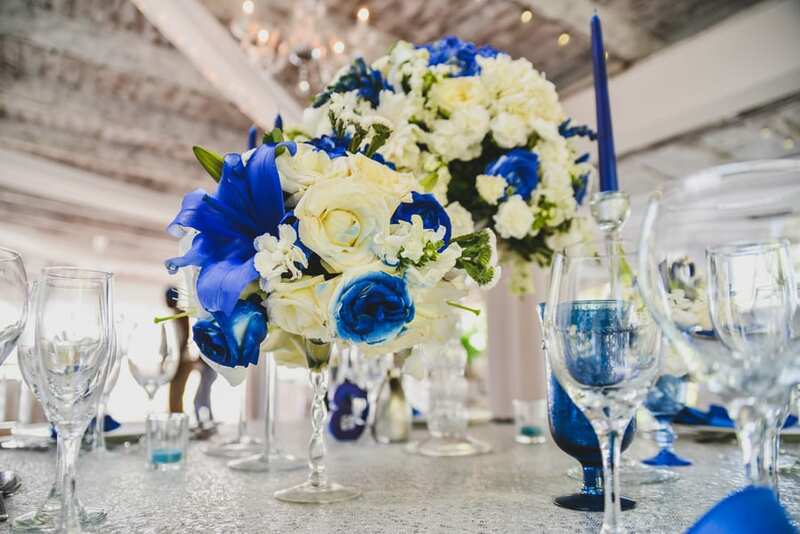 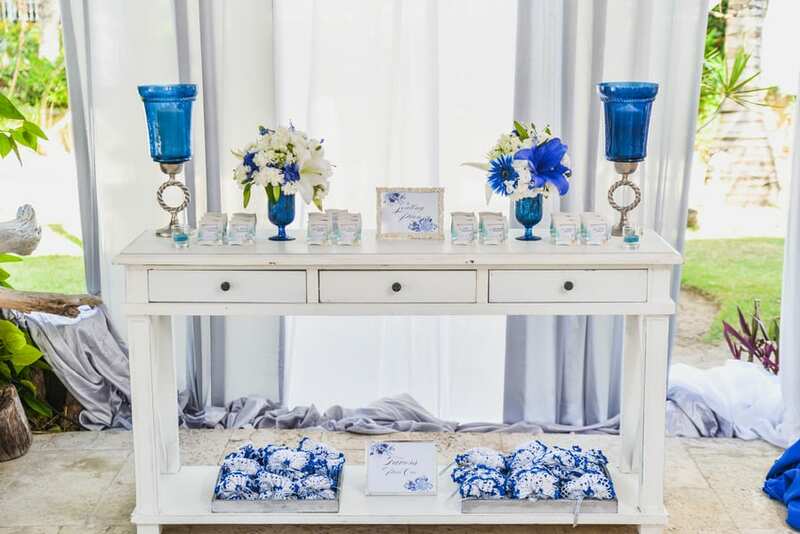 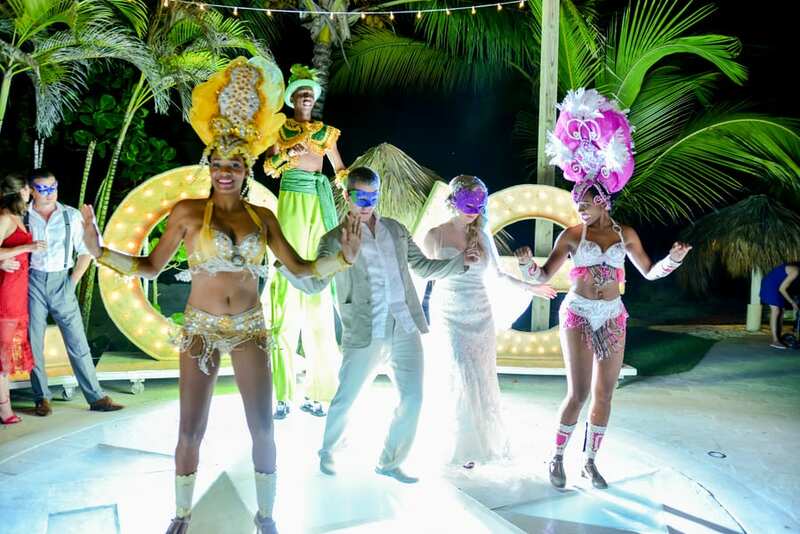 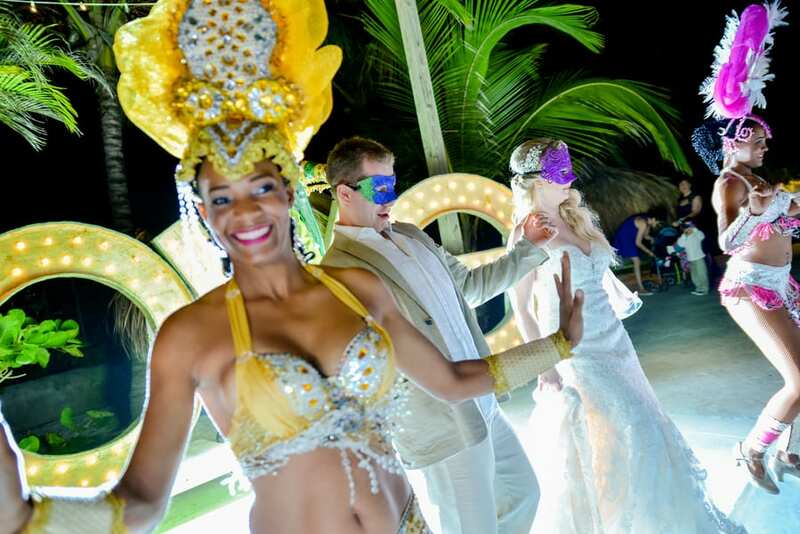 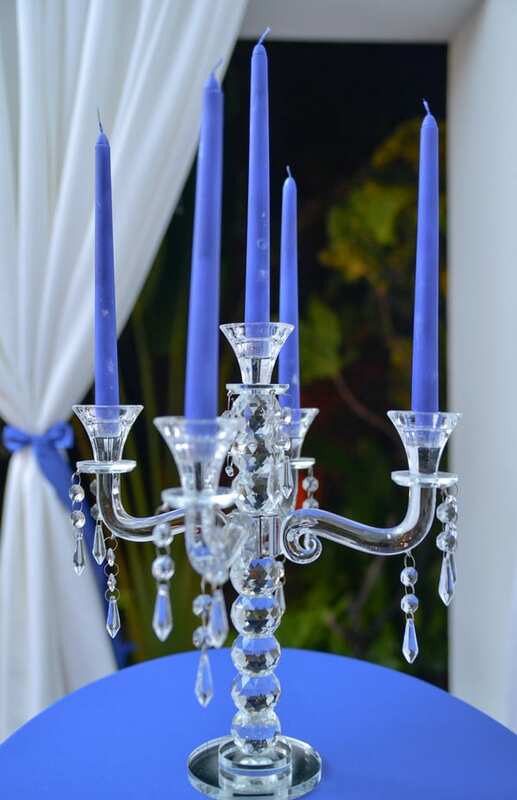 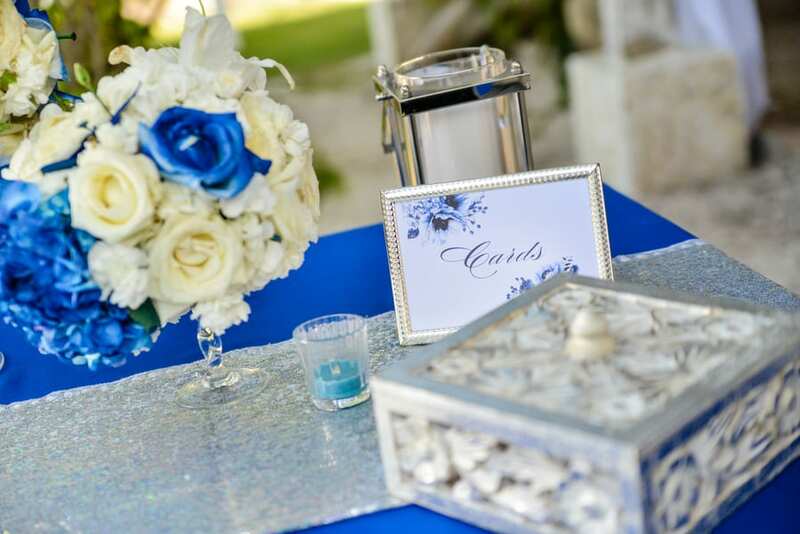 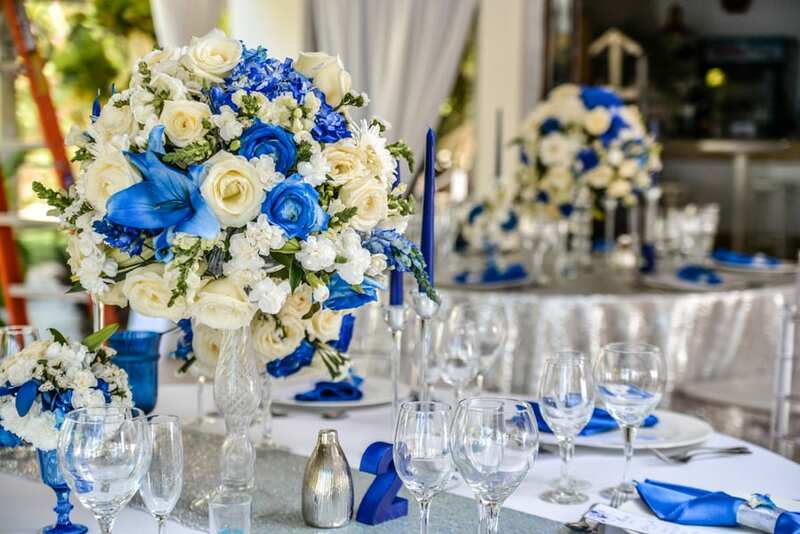 The reception included catina dancers on a center stage, mousse shots beside a traditional cake, and cobalt blue and white everywhere, from the floral arrangements to tea candles and colored glass. 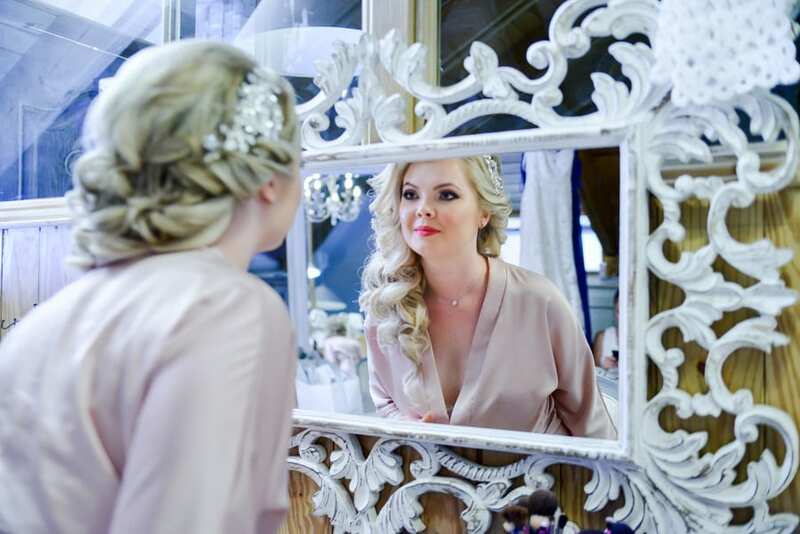 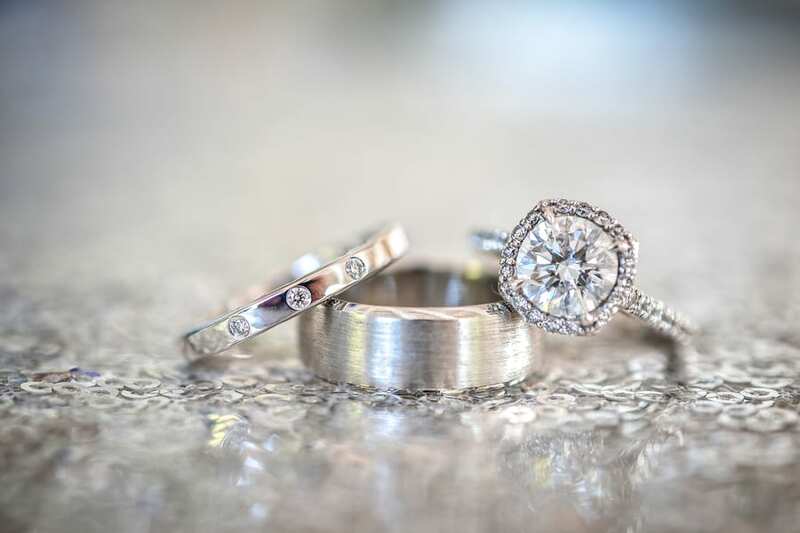 This gorgeous wedding was captured by Milan Photo & Cine Art.